Scripture: Vaughn J Featherstone - One of the most Christ-like qualities we ought to develop is reverence, an attitude that shows how we feel about Heavenly Father and the things He has asked us to do. - Why do we wear such nice clothing? (because church is a special place so we wear our best clothes. Church is very special. So special that we attend only church on Sundays and dress in special clothes. We should also act in a special way when we attend church. This is called being reverent. A feeling I get when I think of his blessings. I'm reverent, for reverence is love. When I'm reverent, it shows in my words and my deeds. The pathway to follow is clear. Heavenly Father and Jesus are near. - What do you think it means to be reverent? - Does being reverent only mean sitting quietly? - Walking quietly and talking softly. - Sitting quietly and listening to prayers and lessons. - Raising our hands when we want to say something. - Keeping the meetinghouse clean. - Thinking about Heavenly Father and Jesus Christ. Explain that when we do these things, Heavenly Father and Jesus know that we love them and that we are happy to be at church. 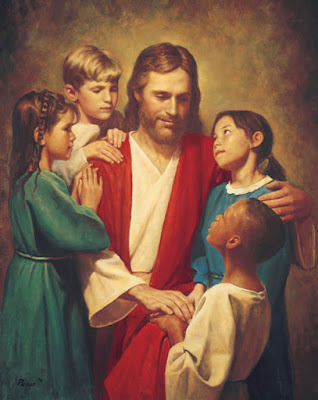 Download the following story with pictures to help children understand the blessings of being reverent. Bear your testimony about the blessings of being reverent. 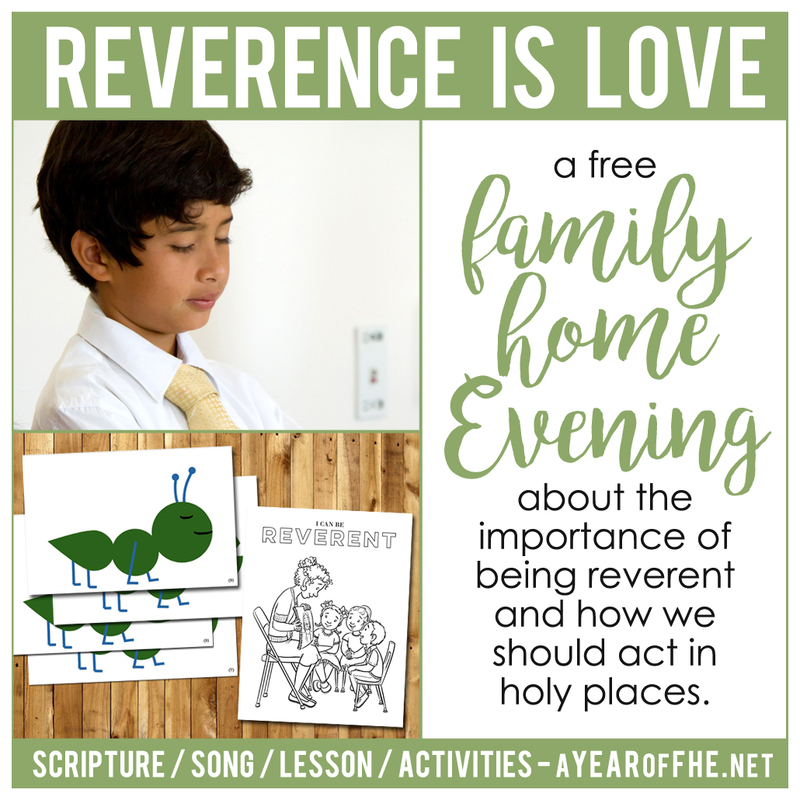 How reverence leads to feeling the Spirit and emphasize your children's ability to make the decision to enjoy church by being reverent. You went the extra mile this week and we loved it! My daughters loved the ant story and showing us how to be reverent. Thanks a bunch for posting every week! So excited to do this lesson with my girls. The story is so cute and I know they will love it!! Thanks for all your hardwork!! Love this! We are getting ready to do it right now :) THANK YOU! thanks Emilie. My 3 year old is having a REALLY hard time being quiet through church, and I think this lesson will really help. Thanks for the cute story, it's right up her alley. This was a great lesson for my 4 year old and 1 year old. We are trying to increase reverence at church and this story really helped emphasize this! Thanks for all your hard work! This is so great, Emilee! I plan on using this to help supplement my Sharing Time lesson in November. Thanks a million! Your lessons are so creative and well thought out. Great visual creations for kids and activities! You are our favorite FHE support site. Please keep posting! This site is fabulous. I have been at a loss when it comes to FHE for little kids. Your lessons are wonderful. Reverence is something we are really trying hard to help our 4 year old and 3 year old understand. Thank you so much! I love your lessons! Thank you so much for all the hard work you put into these and for sharing them with us! I'm excited to do your lessons. I am always throwing things together last minute. Thank You. I used this last night for our FHE since we've been struggling a bit with reverence lately. Thanks so much, it was a hit! My 6 year old wanted to take Grant the Ant to school with her today. I am so excited to have found your blog! Your lessons look awesome. I think it will help our fhe become much more meaningful. I downloaded this lesson to use tonight. Thanks for all your hard work and for sharing! I can't imagine how much time to take to help save some strangers time. You are doing a great service! These lessons are a life-saver. This is my go-to website every Monday for family night. Thank you for putting all of this together and making it so incredibly easy to implement into our busy life! I am so glad to have found your blog. And to be honest, I'm not sure that we would have a coherent FHE (or any FHE, for that matter) if it wasn't for your groundwork. Thank you thank you thank you! Blessing and gratitude to you and your family. I just downloaded this lesson to use tonight. 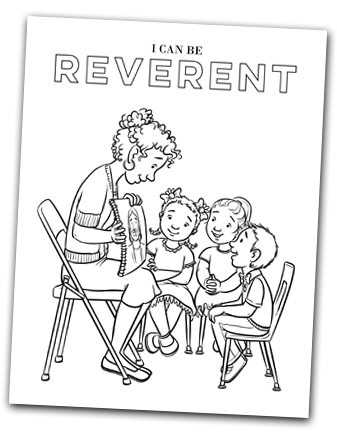 Our 5 and 3 year olds really need this reminder on reverence! Thank you! Can't wait to do this lesson tonight, thank you for all your hard work! Thank you for these! I've been wanting to introduce the concept of reverence to my toddler. This will be great! Thank you. Thank you so much for this lesson! My family really enjoyed it! And it was quick and easy for me to put together. Thank you for this! You are great!! Thank you so much for this! Such a great idea! I will be teaching in sharing tomorrow and Im too excited. I'll be using your awesome ant story in a few weeks during sharing time. Thank you! Love the graphics. I know I commented a few weeks ago but wanted to say thanks for the ant story. The kids in our primary loved it during sharing time. I printed out enough of your smaller ants and placed them around the room and the pianist played reverent music while each of the children searched for an ant and then walked reverently around the room with their arms folded and quiet feet while I complimented them for being so reverent. 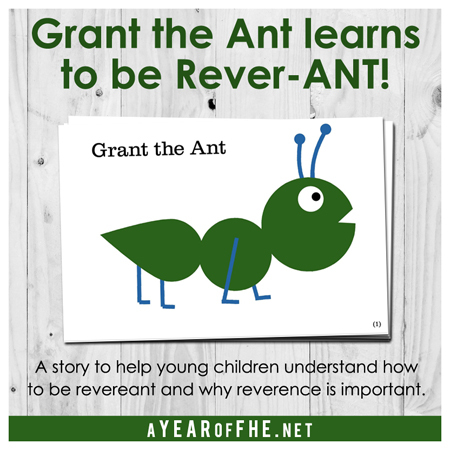 They loved being able to get an ant to walk reverently with and loved being able to practice being reverent. I collected all of the ants before they sat back down. Thanks!!! Thank you for sharing this lesson. We especially enjoyed the Rever-ANT story! My toddler boys LOVE Grant the Ant. They did so good at church last week and asked to hear the story again today. Thank you, thank you!